You may find information in church records. If tracing your family history leads you to Ireland, ancestry records can be challenging to find. Don't give up! Although Irish genealogy research can be a little tricky, with some perseverance, you're sure to find records that will be helpful. If you have an ancestor from Ireland, you aren't alone. In fact, the 2000 United States Census found that over 41 million Americans claim to have one or more ancestors from the Emerald Isle. Many Irish immigrants emigrated to escape difficult conditions in their home country. In the 1840s, for instance, the "Great Famine" prompted a historic wave of immigration, as Irish men and women sought a place where they could financially support their families. Additional factors like religious persecution, high taxes, and difficulty obtaining land led Irish citizens to choose a new life in the New World. State and local death records for your ancestor may offer information about their families and origins. Federal census records often include information about the year of immigration, and they sometimes include the city and country where your ancestor was born. 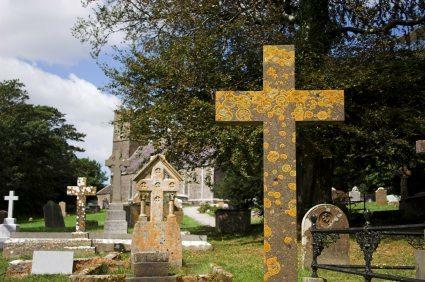 Obituaries can provide a wealth of information about your Irish relatives. Immigration records can help you find the port where your ancestor arrived, along with the names of any family members who travelled together. Ship's passenger lists offer insight about where your ancestor might have lived in his or her home country. The Internet has completely changed the field of genealogy, providing armchair access to records around the world. While Irish records can be a little confusing, especially for the years around the Great Famine and the various wars, there are now dozens of websites devoted to clearing things up and helping you find your Irish ancestors. The Irish Genealogical Society is a non-profit group for genealogists with Irish ancestry. You'll find helpful research information, classes and programs, and a bookstore, all focused on genealogy research in Ireland. Ancestry.com is a paid subscription site for genealogy records, and they have many Irish records available online. You can enter information about your ancestor and find all Ireland ancestry records associated with that individual. Irish Genealogy is the official genealogy website of the Irish government. You'll find church records and other useful information, as well as tips for planning a genealogy research trip to Ireland. Irish Genealogy Centre offers the services of a hired family history researcher in Ireland. While hiring someone to research your Irish ancestors can be expensive, it may be more cost effective than going to Ireland yourself. Cyndi's List, the popular free genealogy resource, has a section about researching your Irish ancestors. This is a great place to look if you're researching on a tight budget. Irish Origins is another paid subscription services that focuses on England and Ireland. They have everything from Irish census records to wills and other legal documents. Morrigan Research Services is another site where you can hire a paid family history researcher. They offer a range of services at several price points. With any frustrating genealogy problem or brick wall, it's always a good idea to take a step back and think about other ways to fill in the blanks in your family tree. Irish genealogy takes patience, and there are more records added to online genealogy databases all the time.